For Philly fans, a championship was needed. The Eagles hadn’t won in forever and the Flyers hadn’t won in too long; the only recent championship team was the 1980 Phillies, and even that win was becoming a distant memory. 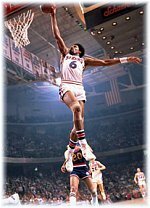 The 76’ers went to the NBA finals in 1978, 1980 and 1982, only to go down swinging every time. Enter Julius “Dr. 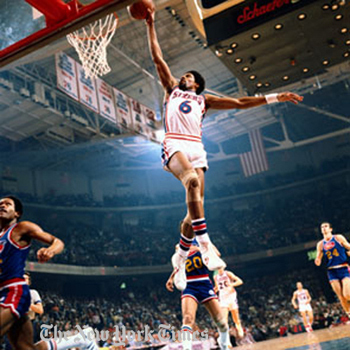 J” Erving, who delivered on his pledge to bring a championship to the City of Brotherly Love. The loses leading to the Championship, as well as the Championship itself, were just what the Dr. ordered. The Dr. had help from Moses Malone, Maurice Cheeks, Andrew Tooney and Bobby Jones. Together with their beloved coach, Billy Cunningham, they brought a Championship to Philly in 1983. The defeat of the hated, heated rival Los Angeles Lakers in four games was a godsend. The famous “fo, fo, fo” (ask a Philly Fan what that means) Championship run was iconic. The Sixers actually went 12-1 in the playoffs, a record that still stands. Sometimes, not reaching the summit and then a wildly wonderful victory that serves as a shot in the arm is just what the Dr. ordered. For Ruth, leaving Moab for a small town called Bethlehem in Israel was just what the Dr. ordered. It seemed as if everything and everyone was against her. She was a barren, Moabite widow. She wasn’t wealthy – she wasn’t well-off, well-heeled or well- to-do. But it was well with her soul. And she stuck to Naomi her mother-in-law, and humbled herself to do menial tasks. She gleaned in the fields and collected the leftovers from the harvest. And her faith and faithfulness paid off. Ruth needed a shot in the arm, a leg up, a chance, a break. She was down, but not out, and needed someone one to love her and something to lift her. True to scripture, in due time, God exalted her. She learned that she was related to Boaz, who became her kinsman redeemer. She then married this same Boaz and gave birth to Obed, the father of Jesse, the father of David. If they could, these favorite sons would have lifted Ruth onto their shoulders and carried her off the spiritual playing field. Her dream, her longing to bear a son, was fulfilled. And she not only bore a son, but she winnowed her way into the first family of the household of God, and became an ancestress of Jesus Christ.